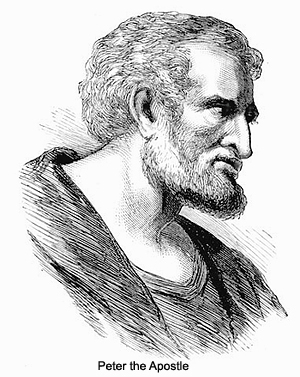 137:0.1 EARLY ON SATURDAY morning, February 23, A.D. 26, Jesus came down from the hills to rejoin John’s company encamped at Pella. All that day Jesus mingled with the multitude. He ministered to a lad who had injured himself in a fall and journeyed to the near-by village of Pella to deliver the boy safely into the hands of his parents. 137:1.1 During this Sabbath two of John’s leading disciples spent much time with Jesus. Of all John’s followers one named Andrew was the most profoundly impressed with Jesus; he accompanied him on the trip to Pella with the injured boy. On the way back to John’s rendezvous he asked Jesus many questions, and just before reaching their destination, the two paused for a short talk, during which Andrew said: “I have observed you ever since you came to Capernaum, and I believe you are the new Teacher, and though I do not understand all your teaching, I have fully made up my mind to follow you; I would sit at your feet and learn the whole truth about the new kingdom.” And Jesus, with hearty assurance, welcomed Andrew as the first of his apostles, that group of twelve who were to labor with him in the work of establishing the new kingdom of God in the hearts of men. 137:1.2 Andrew was a silent observer of, and sincere believer in, John’s work, and he had a very able and enthusiastic brother, named Simon, who was one of John’s foremost disciples. It would not be amiss to say that Simon was one of John’s chief supporters. 137:1.7 James and John received the rebuke in good grace; never more were they envious of Andrew and Simon. And they made ready, with their two associate apostles, to depart for Galilee the next morning. From this day on the term apostle was employed to distinguish the chosen family of Jesus’ advisers from the vast multitude of believing disciples who subsequently followed him. 137:2.2 That day, as Jesus and his four disciple-apostles departed for Galilee, there was a great tumult in the camp of John’s followers. The first great division was about to take place. The day before, John had made his positive pronouncement to Andrew and Ezra that Jesus was the Deliverer. 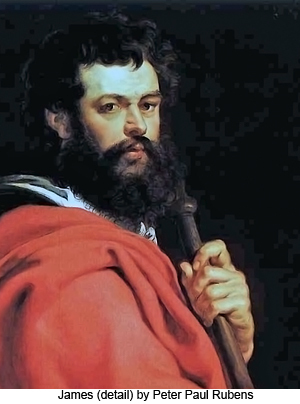 Andrew decided to follow Jesus, but Ezra rejected the mild-mannered carpenter of Nazareth, proclaiming to his associates: “The Prophet Daniel declares that the Son of Man will come with the clouds of heaven, in power and great glory. This Galilean carpenter, this Capernaum boatbuilder, cannot be the Deliverer. Can such a gift of God come out of Nazareth? This Jesus is a relative of John, and through much kindness of heart has our teacher been deceived. Let us remain aloof from this false Messiah.” When John rebuked Ezra for these utterances, he drew away with many disciples and hastened south. And this group continued to baptize in John’s name and eventually founded a sect of those who believed in John but refused to accept Jesus. A remnant of this group persists in Mesopotamia even to this day. 137:2.3 While this trouble was brewing among John’s followers, Jesus and his four disciple-apostles were well on their way toward Galilee. Before they crossed the Jordan, to go by way of Nain to Nazareth, Jesus, looking ahead and up the road, saw one Philip of Bethsaida with a friend coming toward them. Jesus had known Philip aforetime, and he was also well known to all four of the new apostles. He was on his way with his friend Nathaniel to visit John at Pella to learn more about the reported coming of the kingdom of God, and he was delighted to greet Jesus. Philip had been an admirer of Jesus ever since he first came to Capernaum. But Nathaniel, who lived at Cana of Galilee, did not know Jesus. Philip went forward to greet his friends while Nathaniel rested under the shade of a tree by the roadside. 137:2.5 It suddenly dawned on Philip that Jesus was a really great man, possibly the Messiah, and he decided to abide by Jesus’ decision in this matter; and he went straight to him, asking, “Teacher, shall I go down to John or shall I join my friends who follow you?” And Jesus answered, “Follow me.” Philip was thrilled with the assurance that he had found the Deliverer. 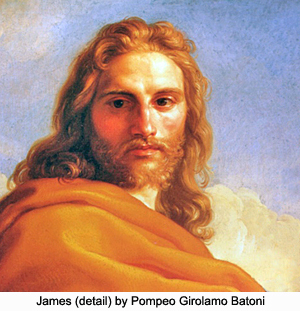 137:3.3 Jude was present at Jesus’ baptism and, with his brother James, had become a firm believer in Jesus’ mission on earth. Although both James and Jude were much perplexed as to the nature of their brother’s mission, their mother had resurrected all her early hopes of Jesus as the Messiah, the son of David, and she encouraged her sons to have faith in their brother as the deliverer of Israel. 137:3.6 On the next day, Tuesday, they all journeyed over to Cana for the wedding of Naomi, which was to take place on the following day. And in spite of Jesus’ repeated warnings that they tell no man about him “until the Father’s hour shall come,” they insisted on quietly spreading the news abroad that they had found the Deliverer. They each confidently expected that Jesus would inaugurate his assumption of Messianic authority at the forthcoming wedding at Cana, and that he would do so with great power and sublime grandeur. They remembered what had been told them about the phenomena attendant upon his baptism, and they believed that his future course on earth would be marked by increasing manifestations of supernatural wonders and miraculous demonstrations. Accordingly, the entire countryside was preparing to gather together at Cana for the wedding feast of Naomi and Johab the son of Nathan. 137:3.7 Mary had not been so joyous in years. She journeyed toCana in the spirit of the queen mother on the way to witness the coronation of her son. 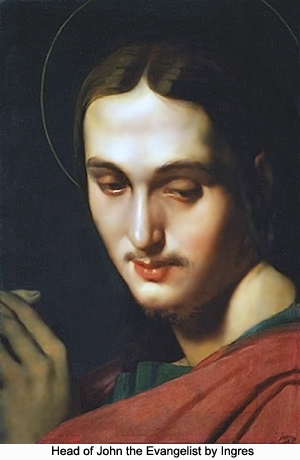 Not since he was thirteen years old had Jesus’ family and friends seen him so carefree and happy, so thoughtful and understanding of the wishes and desires of his associates, so touchingly sympathetic. And so they all whispered among themselves, in small groups, wondering what was going to happen. What would this strange person do next? How would he usher in the glory of the coming kingdom? And they were all thrilled with the thought that they were to be present to see the revelation of the might and power of Israel’s God. 137:4.1 By noon on Wednesday almost a thousand guests had arrived in Cana, more than four times the number bidden to the wedding feast. It was a Jewish custom to celebrate weddings on Wednesday, and the invitations had been sent abroad for the wedding one month previously. In the forenoon and early afternoon it appeared more like a public reception for Jesus than a wedding. Everybody wanted to greet this near-famous Galilean, and he was most cordial to all, young and old, Jews and gentile. And everybody rejoiced when Jesus consented to lead the preliminary wedding procession. 137:4.4 Early in the afternoon Mary summoned James, and together they made bold to approach Jesus to inquire if he would admit them to his confidence to the extent of informing them at what hour and at what point in connection with the wedding ceremonies he had planned to manifest himself as the “supernatural one.” No sooner had they spoken of these matters to Jesus than they saw they had aroused his characteristic indignation. He said only: “If you love me, then be willing to tarry with me while I wait upon the will of my Father who is in heaven.” But the eloquence of his rebuke lay in the expression of his face. 137:4.5 This move of his mother was a great disappointment to the human Jesus, and he was much sobered by his reaction to her suggestive proposal that he permit himself to indulge in some outward demonstration of his divinity. That was one of the very things he had decided not to do when so recently isolated in the hills. For several hours Mary was much depressed. She said to James: “I cannot understand him; what can it all mean? Is there no end to his strange conduct?” James and Jude tried to comfort their mother, while Jesus withdrew for an hour’s solitude. But he returned to the gathering and was once more lighthearted and joyous. 137:4.6 The wedding proceeded with a hush of expectancy, but the entire ceremony was finished and not a move, not a word, from the honored guest. Then it was whispered about that the carpenter and boatbuilder, announced by John as “the Deliverer,” would show his hand during the evening festivities, perhaps at the wedding supper. 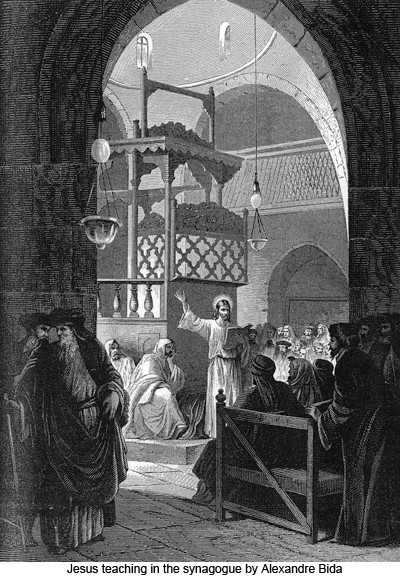 But all expectance of such a demonstration was effectually removed from the minds of his six disciple-apostles when he called them together just before the wedding supper and, in great earnestness, said: “Think not that I have come to this place to work some wonder for the gratification of the curious or for the conviction of those who doubt. Rather are we here to wait upon the will of our Father who is in heaven.” But when Mary and the others saw him in consultation with his associates, they were fully persuaded in their own minds that something extraordinary was about to happen. And they all sat down to enjoy the wedding supper and the evening of festive good fellowship. 137:4.7 The father of the bridegroom had provided plenty of wine for all the guests bidden to the marriage feast, but how was he to know that the marriage of his son was to become an event so closely associated with the expected manifestation of Jesus as the Messianic deliverer? He was delighted to have the honor of numbering the celebrated Galilean among his guests, but before the wedding supper was over, the servants brought him the disconcerting news that the wine was running short. By the time the formal supper had ended and the guests were strolling about in the garden, the mother of the bridegroom confided to Mary that the supply of wine was exhausted. And Mary confidently said: “Have no worry—I will speak to my son. He will help us.” And thus did she presume to speak, notwithstanding the rebuke of but a few hours before. 137:4.9 Mary the mother of Jesus was crushed; she was stunned! As she stood there before him motionless, with the tears streaming down her face, the human heart of Jesus was overcome with compassion for the woman who had borne him in the flesh; and bending forward, he laid his hand tenderly upon her head, saying: “Now, now, Mother Mary, grieve not over my apparently hard sayings, for have I not many times told you that I have come only to do the will of my heavenly Father? Most gladly would I do what you ask of me if it were a part of the Father’s will—” and Jesus stopped short, he hesitated. Mary seemed to sense that something was happening. Leaping up, she threw her arms around Jesus’ neck, kissed him, and rushed off to the servants’ quarters, saying, “Whatever my son says, that do.” But Jesus said nothing. He now realized that he had already said—or rather desirefully thought—too much. 137:4.11 Near at hand stood six waterpots of stone, filled with water, holding about twenty gallons apiece. This water was intended for subsequent use in the final purification ceremonies of the wedding celebration. The commotion of the servants about these huge stone vessels, under the busy direction of his mother, attracted Jesus’ attention, and going over, he observed that they were drawing wine out of them by the pitcherful. 137:4.12 It was gradually dawning upon Jesus what had happened. Of all persons present at the marriage feast of Cana, Jesus was the most surprised. Others had expected him to work a wonder, but that was just what he had purposed not to do. And then the Son of Man recalled the admonition of his Personalized Thought Adjuster in the hills. He recounted how the Adjuster had warned him about the inability of any power or personality to deprive him of the creator prerogative of independence of time. On this occasion power transformers, midwayers, and all other required personalities were assembled near the water and other necessary elements, and in the face of the expressed wish of the Universe Creator Sovereign, there was no escaping the instantaneous appearance of wine. And this occurrence was made doubly certain since the Personalized Adjuster had signified that the execution of the Son’s desire was in no way a contravention of the Father’s will. 137:4.14 Furthermore it was evident that the enactment of this so-called miracle was not contrary to the will of the Paradise Father, else it would not have transpired, since Jesus had already subjected himself in all things to the Father’s will. 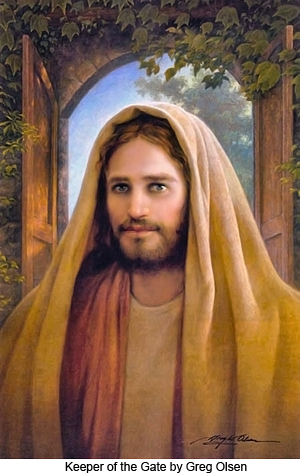 137:4.16 Mary and the disciples of Jesus were greatly rejoiced at the supposed miracle which they thought Jesus had intentionally performed, but Jesus withdrew to a sheltered nook of the garden and engaged in serious thought for a few brief moments. He finally decided that the episode was beyond his personal control under the circumstances and, not being adverse to his Father’s will, was inevitable. When he returned to the people, they regarded him with awe; they all believed in him as the Messiah. But Jesus was sorely perplexed, knowing that they believed in him only because of the unusual occurrence which they had just inadvertently beheld. Again Jesus retired for a season to the housetop that he might think it all over. 137:5.1 Though many of the guests remained for the full week of wedding festivities, Jesus, with his newly chosen disciple-apostles— James, John, Andrew, Peter, Philip, and Nathaniel— departed very early the next morning for Capernaum, going away without taking leave of anyone. 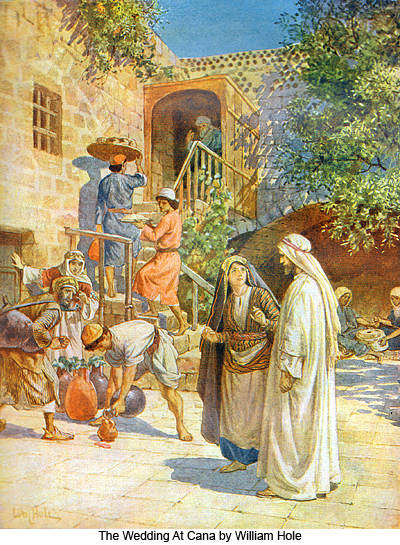 Jesus’ family and all his friends in Cana were much distressed because he so suddenly left them, and Jude, Jesus’ youngest brother, set out in search of him. Jesus and his apostles went directly to the home of Zebedee at Bethsaida. On this journey Jesus talked over many things of importance to the coming kingdom with his newly chosen associates and especially warned them to make no mention of the turning of the water into wine. He also advised them to avoid the cities of Sepphoris and Tiberias in their future work. 137:5.2 After supper that evening, in this home of Zebedee and Salome, there was held one of the most important conferences of all Jesus’ earthly career. 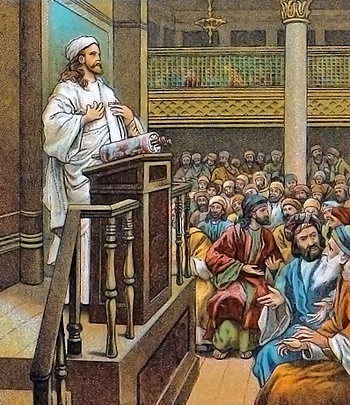 Only the six apostles were present at this meeting; Jude arrived as they were about to separate. These six chosen men had journeyed from Cana to Bethsaida with Jesus, walking, as it were, on air. They were alive with expectancy and thrilled with the thought of having been selected as close associates of the Son of Man. But when Jesus set out to make clear to them who he was and what was to be his mission on earth and how it might possibly end, they were stunned. They could not grasp what he was telling them. They were speechless; even Peter was crushed beyond expression. Only the deep-thinking Andrew dared to make reply to Jesus’ words of counsel. When Jesus perceived that they did not comprehend his message, when he saw that their ideas of the Jewish Messiah were so completely crystallized, he sent them to their rest while he walked and talked with his brother Jude. And before Jude took leave of Jesus, he said with much feeling: “My father-brother, I never have understood you. I do not know of a certainty whether you are what my mother has taught us, and I do not fully comprehend the coming kingdom, but I do know you are a mighty man of God. I heard the voice at the Jordan, and I am a believer in you, no matter who you are.” And when he had spoken, he departed, going to his own home at Magdala. 137:5.3 That night Jesus did not sleep. Donning his evening wraps, he sat out on the lake shore thinking, thinking until the dawn of the next day. In the long hours of that night of meditation Jesus came clearly to comprehend that he never would be able to make his followers see him in any other light than as the long-expected Messiah. At last he recognized that there was no way to launch his message of the kingdom except as the fulfillment of John’s prediction and as the one for whom the Jews were looking. After all, though he was not the Davidic type of Messiah, he was truly the fulfillment of the prophetic utterances of the more spiritually minded of the olden seers. Never again did he wholly deny that he was the Messiah. He decided to leave the final untangling of this complicated situation to the outworking of the Father’s will. 137:5.4 The next morning Jesus joined his friends at breakfast, but they were a cheerless group. He visited with them and at the end of the meal gathered them about him, saying: “It is my Father’s will that we tarry hereabouts for a season. You have heard John say that he came to prepare the way for the kingdom; therefore it behooves us to await the completion of John’s preaching. 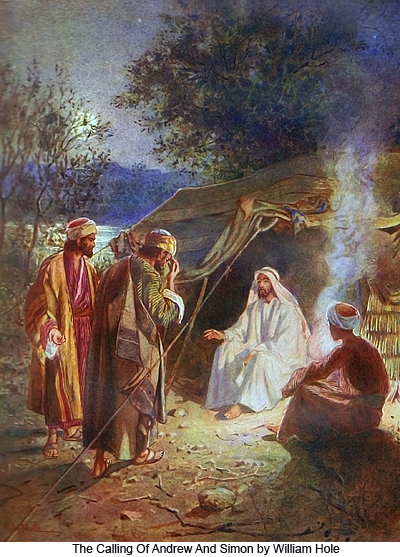 When the forerunner of the Son of Man shall have finished his work, we will begin the proclamation of the good tidings of the kingdom.” He directed his apostles to return to their nets while he made ready to go with Zebedee to the boatshop, promising to see them the next day at the synagogue, where he was to speak, and appointing a conference with them that Sabbath afternoon. 137:6.1 Jesus’ first public appearance following his baptism was in the Capernaum synagogue on Sabbath, March 2, A.D. 26. The synagogue was crowded to overflowing. 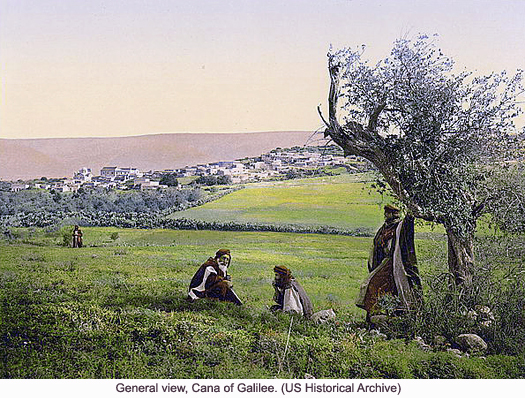 The story of the baptism in the Jordan was now augmented by the fresh news from Cana about the water and the wine. Jesus gave seats of honor to his six apostles, and seated with them were his brothers in the flesh James and Jude. His mother, having returned to Capernaum with James the evening before, was also present, being seated in the women’s section of the synagogue. The entire audience was on edge; they expected to behold some extraordinary manifestation of supernatural power which would be a fitting testimony to the nature and authority of him who was that day to speak to them. But they were destined to disappointment. 137:6.3 When he had finished this reading, Jesus handed the roll back to its keeper. Before sitting down, he simply said: “Be patient and you shall see the glory of God; even so shall it be with all those who tarry with me and thus learn to do the will of my Father who is in heaven.” And the people went to their homes, wondering what was the meaning of all this. 137:7.1 For four long months—March, April, May, and June—this tarrying time continued; Jesus held over one hundred long and earnest, though cheerful and joyous, sessions with these six associates and his own brother James. Owing to sickness in his family, Jude seldom was able to attend these classes. James, Jesus’ brother, did not lose faith in him, but during these months of delay and inaction Mary nearly despaired of her son. Her faith, raised to such heights at Cana, now sank to new low levels. She could only fall back on her so oft-repeated exclamation: “I cannot understand him. I cannot figure out what it all means.” But James’s wife did much to bolster Mary’s courage. 137:7.2 Throughout these four months these seven believers, one his own brother in the flesh, were getting acquainted with Jesus; they were getting used to the idea of living with this God-man. Though they called him Rabbi, they were learning not to be afraid of him. Jesus possessed that matchless grace of personality which enabled him so to live among them that they were not dismayed by his divinity. They found it really easy to be “friends with God,” God incarnate in the likeness of mortal flesh. This time of waiting severely tested the entire group of believers. Nothing, absolutely nothing, miraculous happened. Day by day they went about their ordinary work, while night after night they sat at Jesus’ feet. And they were held together by his matchless personality and by the gracious words which he spoke to them evening upon evening. 137:7.3 This period of waiting and teaching was especially hard on Simon Peter. He repeatedly sought to persuade Jesus to launch forth with the preaching of the kingdom in Galilee while John continued to preach in Judea. But Jesus’ reply to Peter ever was: “Be patient, Simon. Make progress. We shall be none too ready when the Father calls.” And Andrew would calm Peter now and then with his more seasoned and philosophic counsel. Andrew was tremendously impressed with the human naturalness of Jesus. He never grew weary of contemplating how one who could live so near God could be so friendly and considerate of men. 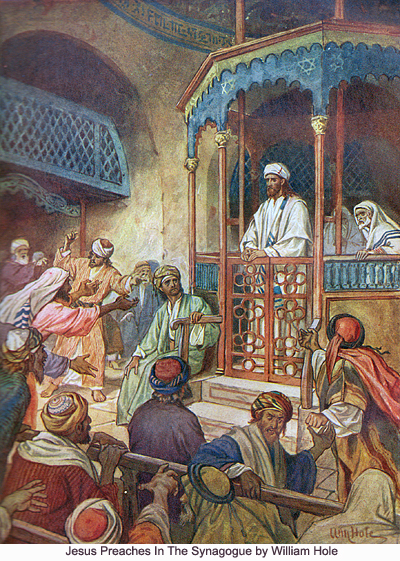 137:7.6 The scribes and rabbis, taken together, were called Pharisees. They referred to themselves as the “associates.” In many ways they were the progressive group among the Jews, having adopted many teachings not clearly found in the Hebrew scriptures, such as belief in the resurrection of the dead, a doctrine only mentioned by a later prophet, Daniel. 137:7.11 In the very midst of Palestine there lived the Samaritans, with whom “the Jews had no dealings,” notwithstanding that they held many views similar to the Jewish teachings. 137:7.13 While Jesus later directed that the apostles should go forth, as John had, preaching the gospel and instructing believers, he laid emphasis on the proclamation of the “good tidings of the kingdom of heaven.” He unfailingly impressed upon his associates that they must “show forth love, compassion, and sympathy.” He early taught his followers that the kingdom of heaven was a spiritual experience having to do with the enthronement of God in the hearts of men. 137:8.1 On Sabbath, June 22, shortly before they went out on their first preaching tour and about ten days after John’s imprisonment, Jesus occupied the synagogue pulpit for the second time since bringing his apostles to Capernaum. 137:8.3 Jesus did his last work at the carpenter bench on this Tuesday, June 18, A.D. 26. 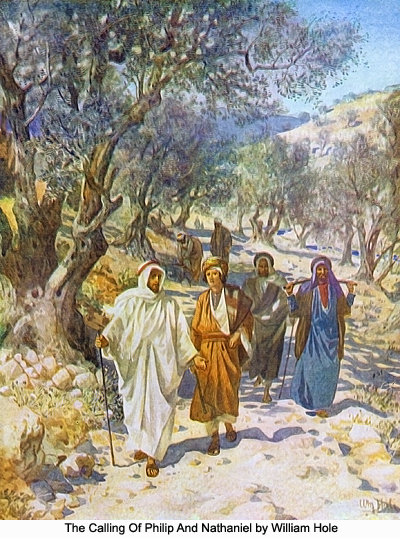 Peter rushed out of the shop and by midafternoon had rounded up all of his associates, and leaving them in a grove by the shore, he went in quest of Jesus. But he could not find him, for the Master had gone to a different grove to pray. And they did not see him until late that evening when he returned to Zebedee’s house and asked for food. The next day he sent his brother James to ask for the privilege of speaking in the synagogue the coming Sabbath day. And the ruler of the synagogue was much pleased that Jesus was again willing to conduct the service. 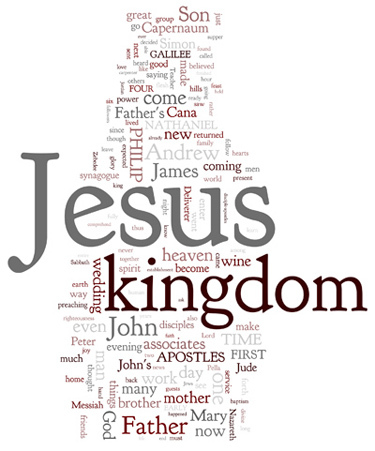 137:8.6 “I have come to proclaim the establishment of the Father’s kingdom. And this kingdom shall include the worshiping souls of Jew and gentile, rich and poor, free and bond, for my Father is no respecter of persons; his love and his mercy are over all. 137:8.7 “The Father in heaven sends his spirit to indwell the minds of men, and when I shall have finished my work on earth, likewise shall the Spirit of Truth be poured out upon all flesh. And the spirit of my Father and the Spirit of Truth shall establish you in the coming kingdom of spiritual understanding and divine righteousness. My kingdom is not of this world. The Son of Man will not lead forth armies in battle for the establishment of a throne of power or a kingdom of worldly glory. When my kingdom shall have come, you shall know the Son of Man as the Prince of Peace, the revelation of the everlasting Father. The children of this world fight for the establishment and enlargement of the kingdoms of this world, but my disciples shall enter the kingdom of heaven by their moral decisions and by their spirit victories; and when they once enter therein, they shall find joy, righteousness, and eternal life. 137:8.8 “Those who first seek to enter the kingdom, thus beginning to strive for a nobility of character like that of my Father, shall presently possess all else that is needful. But I say to you in all sincerity: Unless you seek entrance into the kingdom with the faith and trusting dependence of a little child, you shall in no wise gain admission. 137:8.9 “Be not deceived by those who come saying here is the kingdom or there is the kingdom, for my Father’s kingdom concerns not things visible and material. And this kingdom is even now among you, for where the spirit of God teaches and leads the soul of man, there in reality is the kingdom of heaven. And this kingdom of God is righteousness, peace, and joy in the Holy Spirit. 137:8.10 “John did indeed baptize you in token of repentance and for the remission of your sins, but when you enter the heavenly kingdom, you will be baptized with the Holy Spirit. 137:8.11 “In my Father’s kingdom there shall be neither Jew nor gentile, only those who seek perfection through service, for I declare that he who would be great in my Father’s kingdom must first become server of all. If you are willing to serve your fellows, you shall sit down with me in my kingdom, even as, by serving in the similitude of the creature, I shall presently sit down with my Father in his kingdom. 137:8.12 “This new kingdom is like a seed growing in the good soil of a field. It does not attain full fruit quickly. There is an interval of time between the establishment of the kingdom in the soul of man and that hour when the kingdom ripens into the full fruit of everlasting righteousness and eternal salvation. 137:8.14 “I have come to preach the glad tidings of the kingdom. I have not come to add to the heavy burdens of those who would enter this kingdom. I proclaim the new and better way, and those who are able to enter the coming kingdom shall enjoy the divine rest. And whatever it shall cost you in the things of the world, no matter what price you may pay to enter the kingdom of heaven, you shall receive manyfold more of joy and spiritual progress in this world, and in the age to come eternal life. 137:8.15 “Entrance into the Father’s kingdom waits not upon marching armies, upon overturned kingdoms of this world, nor upon the breaking of captive yokes. The kingdom of heaven is at hand, and all who enter therein shall find abundant liberty and joyous salvation. 137:8.16 “This kingdom is an everlasting dominion. Those who enter the kingdom shall ascend to my Father; they will certainly attain the right hand of his glory in Paradise. And all who enter the kingdom of heaven shall become the sons of God, and in the age to come so shall they ascend to the Father. And I have not come to call the would-be righteous but sinners and all who hunger and thirst for the righteousness of divine perfection.